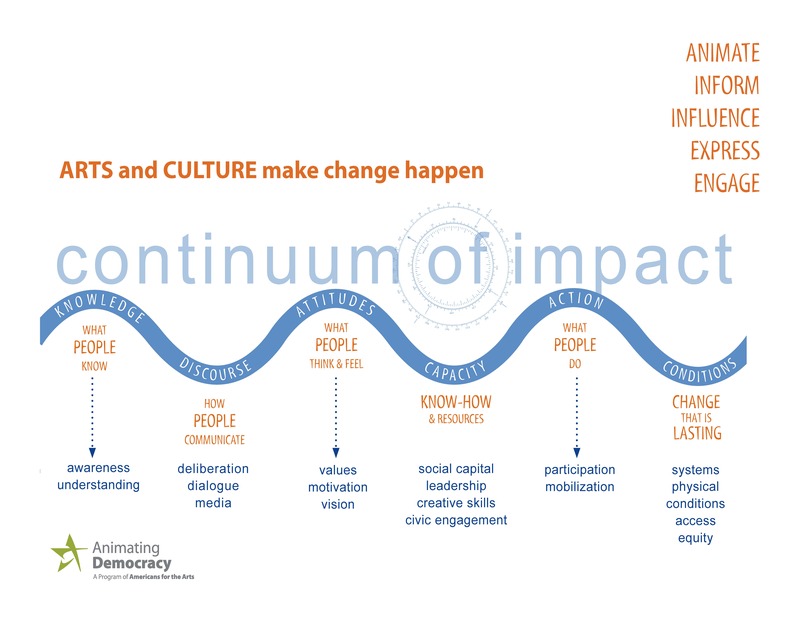 Animating Democracy’s Continuum of Impact guide defines six families of social and civic outcomes that arts practitioners and their partners commonly aspire to and achieve through creative work. 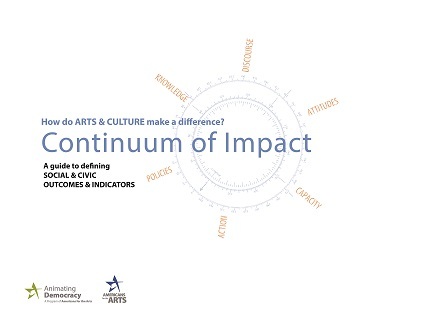 These outcome families articulate ways the arts contribute to making change happen. Articulate clear and realistic Outcomes that can guide program and project design and make it easier to demonstrate what seems intangible. Define Indicators or evidence of change that can be observed and measured. Begin crafting an evaluation Plan to collect and use data to substantiate and report outcomes and impact. Consider which Data Collection methods will help you collect evidence of change.